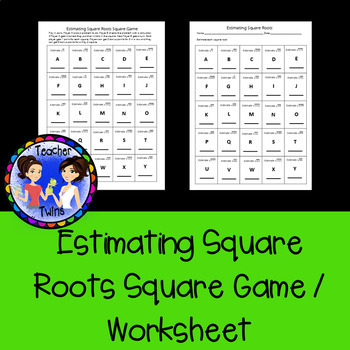 This activity has 25 estimating square root problems. 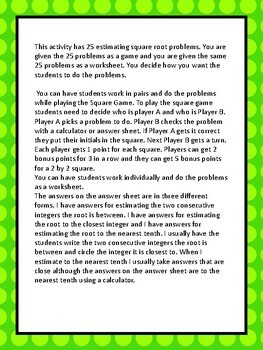 You are given the 25 problems as a game and you are given the same 25 problems as a worksheet. 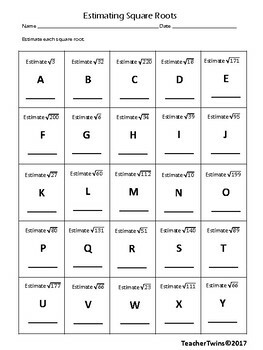 You decide how you want the students to do the problems. 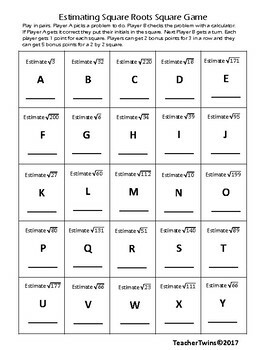 This activity is part of the 8th Grade Mega Bundle.